Cape Coral Community Foundation honors individuals and organizations making a difference in our community and beyond. Seven distinguished Southwest Florida Professional Advisors will be recognized annually during this Cape Coral Community Foundation event. 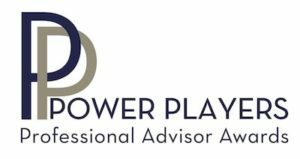 Each of these Power Players has been identified and confirmed as being a top advisor who performs their duties with integrity and honesty and makes a substantial impact in Southwest Florida. 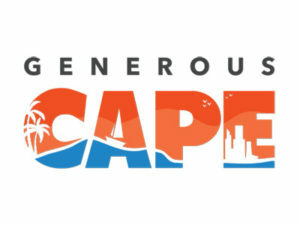 In the spirit of generosity, the Cape Coral Community Foundation has introduced a brand-new tradition – one that showcases the extraordinarily hardworking individuals in our community who dedicate their time and talent within the nonprofit sector. The ENPYs showcase excellence in nonprofit performance by recognizing the very best nonprofit organizations, executives, board members, staff, volunteers, and business partners. The Foundation has created an event to celebrate individual efforts and revel in the incredible impact made within Southwest Florida and beyond. An unknown author once said, “Purpose is the reason for your journey. Passion is the fire that lights your way.” Nominations are now open for the 2018 ENPY Awards. Click below to learn more and nominate a deserving unsung hero. The Elmer Tabor Generosity Award is presented annually to Cape Coral community members for exceptional generosity, motivational civic and charitable responsibility, and inspirational leadership in making a difference in Cape Coral. Established as the namesake of the Foundation’s first honoree – Elmer Tabor – one of Cape Coral’s most generous and civic-minded community members. Tabor moved with his family to Cape Coral in 1960 when the community was just getting started. His legacy of generosity began soon after and continues today. Each year the Tabor Award is presented during the Generous Cape Reception to celebrate “ordinary philanthropists” who are known for their service to the Cape Coral community, inspiring others to a life of generosity – a key value of the Foundation.